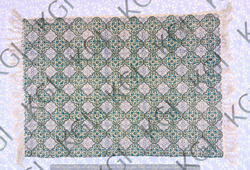 This is hand loom dari .Our organization manufacture these kind of Durries in various color as per customer requirement. Manufactured from quality raw material, our range of cotton designer durries is known for their excellent quality, durability and neat stitching. Available in stylish designs and various colors, these durries can be tailor-made as per the specifications of the individual client. Keeping track with latest market trends, we are devotedly engaged in offering a wide assortment of Plain Cotton Durries.